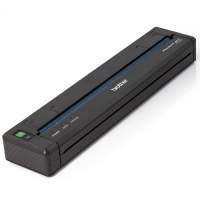 Direct Brother thermal printer for A4 size. Portable! You can make high resolution stencils by printing your sketches directly from your pc, just like a normal printer on SPIRIT stencil paper. You can also print shades and not just the outline! Including Printer and power supply. Do not includes the battery pack. This Brother product is subject to Italian time warranty of 12 months allowing, in case of malfunctioning, the substitution of the product with a new one by simply going to any of the authorized Support Centres spread all over the national territory. The warranty also includes technical support by contacting the direct call centre and the Italian technical assistance.